Got a query? It may be covered here. Just click to open the sections below and see if your question is listed with an answer. You can easily retrieve your Portrait Security Number by going here and clicking "Forgotten your Portrait Security Number?" You will just need your e-mail address (that you supplied to the Bounty photographer), or your surname and postcode. It’s easy! Simply click here and enter your postcode. You will be presented with a list of all the hospitals local to you that offer the Bounty Portrait service. Q -	Can a Bounty photographer come to my house? Q -	I missed the photographer in the hospital; can I still have photos taken? Q -	How long do I have to wait to view my baby’s images online? Q -	How long do you keep my baby’s images for? Q -	How do you store and protect my baby’s images? Q -	How do I use your Announcement Service to share my images? Q -	If I have a free Bounty Portrait session, do I have to make a purchase? Q -	Why do I have to buy a Collection or Core product before I can by other products? Q -	How does the Half Price offer work? Q -	Can I change or cancel my order? Q - If I choose to make a purchase, what methods of payment are available to me? You can place an order in hospital and agree a future date for your payment to be taken. Your order will not be processed however until full payment has been received. Q -	How do I change my delivery address? Q -	How long does it take for my order to arrive? Q -	How will my order be delivered? Q -	I’ve received my order and I am not happy with it. What should I do? When placing an order with Bounty Portrait, it is your choice which images you choose to have printed. Once produced, if you are not satisfied with the image(s) chosen, then we are unable to offer any form of refund, as the portraits are made to order. If any of the portraits are of an unsatisfactory quality, please contact our Customer Service team to discuss the quality issue. They will see if the portrait can be improved, or else offer to reproduce your product in a different image. Q –	When will my images be ready to download? Your images first need to be QC’d by our Quality Control team. Therefore, please allow up to 2-3 working days from full payment. If you have provided an e-mail, we will e-mail you once they are ready to download. Q –	How do I download my images? Once your order for digital images is fully paid, and your images have been QC’d by our Quality Control team, they will be ready to download. When you log into your Bounty Portrait account you will see a ‘My Downloads’ section at the top of the screen. From here you can view and download each of your images. 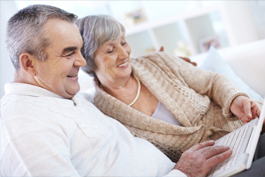 Q –	How long will my images be available for? 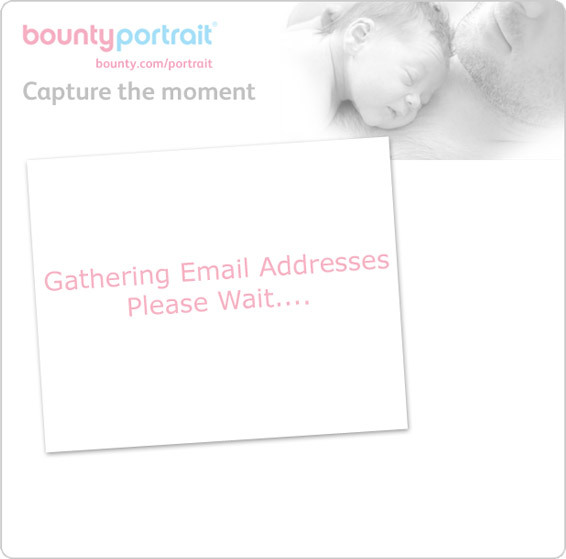 As per our T&C’s, Bounty Portrait keep your baby’s images for 4 years. After this they will be deleted. Q –	can’t download my images, what should I do? If you have fully paid for your digital product and have allowed 2-3 working days for our Quality Control team to QC the images, then you should contact our Customer Services team if you are still experiencing problems. They can be contacted on 03458 300 300 or by emailing bountyportrait@bounty.com. Please have your Portrait Security Number (PSN) to hand when contacting them. Q –	Can I cancel my order? Due to their personalised nature, Bounty Portrait products are non-refundable unless there is a quality issue. By downloading your digital product(s) you are confirming receipt of the product.